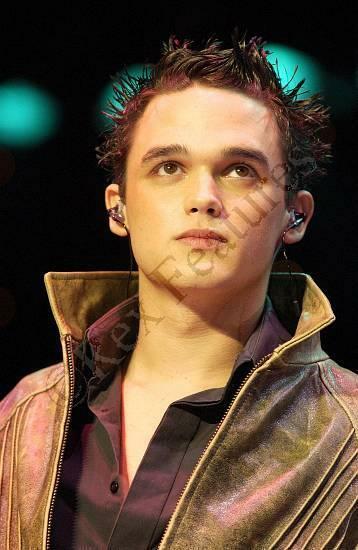 Welcome To The Gareth Gates Website, for all those people who absolutely adore Gareth!! This site is for the people who want the latest news on Gareth, the newest pics, and to pay your respects to him on here. I will bring you updates about his new songs, videos, and what magazines he is going to be in! So make sure you come here to check everyday and see whats the latest! You can send me an E-mail ( check the contact page), about gorg Gareth or if you want me to add anything to the site. Gareth you are great 4eva! Gareth's album 'go your own way' has been released! We can exclusively confirm that Gareth is to perform at this year's Party in The Park in aid of the Prince's Trust on Sunday 6th July. This will be the second year that Gareth will be strutting his stuff on stage at Hyde Park and this year he'll be joining an all star line up including Beyonce Knowles, Dannii Minogue and Blue. There are a limited number of tickets still available so hurry if you want to go. Tickets are Â£27 (plus Â£2.50 booking fee per ticket and Â£4.25 transaction fee) and can be purchased online at capitalfm.com or call the hotline on 0870 38 00 958. While it's gone a little quiet in the UK, Gareth is continuing to launch his international career with promotion across Europe. Following the success of his first single, Anyone of Us and his album in Germany, Gareth is now set to release Unchained Melody. He's also just confirmed performances on French Pop Idol and a Norwegian Roadshow (see events for details) in June. Then in July Gareth will undertake a promotional trip of Asia taking in Indonesia, Thailand, Korea and Australia. Get ready world Gareth Mania is coming your way! Gareth's debut European single Anyone of Us (Stupid Mistake) has just gone to number 1 in Holland! Gareth went to Holland to do a photoshoot and had soon charmed his way onto the cover of the magazine. The single was also the highest played record on one particular Dutch radio show after Gareth performed acoustically. And the video has moved to number 1 on The Box there after just 5 days. Anyone of Us (Stupid Mistake) has also entered the German charts at number 8 and has entered the top 100 in both Austria and Belgium. What to look out for on this site. 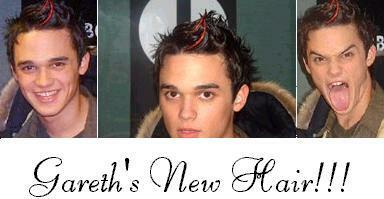 Check the photo page out, it has so many recent photos of Gareth, its great! The best part is the bit about where and when Gareth appears, it has all the dates throughout March, what more could you want? Get sneak magazine every week- Â£1.00 as it always contains some Gareth!